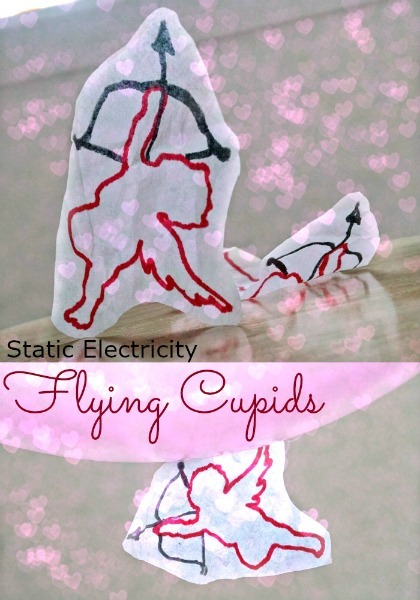 Because many of our friends have dietary restrictions we decided to hand out non candy valentines this year. 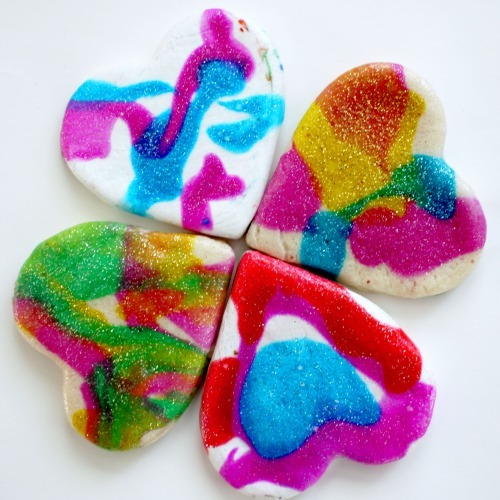 The salt dough valentines we created are unique, bright, and colorful. 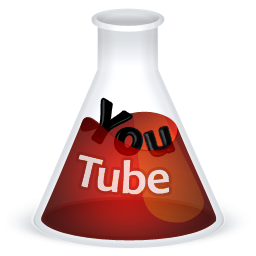 They cost almost nothing to make and they are useful and pretty, too! 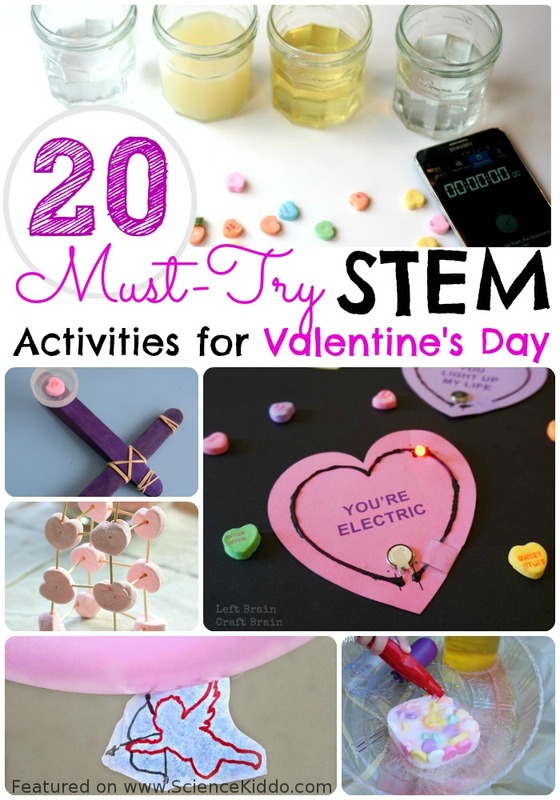 The kids hand-crafted a meaningful gift for their friends and they learned some Valentine’s Day science in process, a huge win in my book. Back when we made spin art spiderwebs I was inspired by Meri Cherry’s spin art rocks and spin art buffet bar. 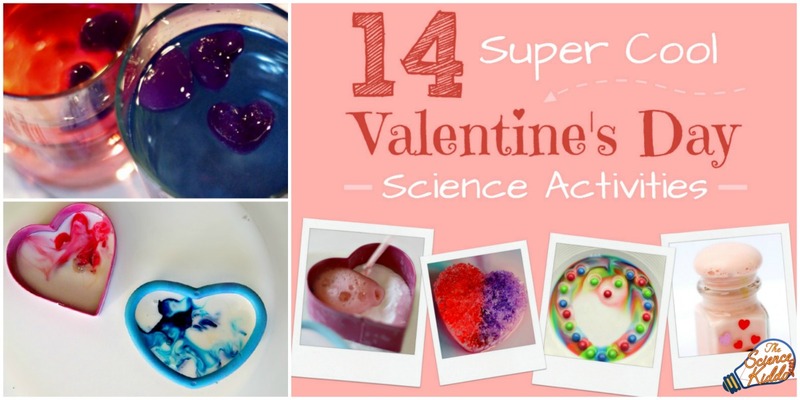 Our spin art salt dough valentines evolved from her creative ideas. 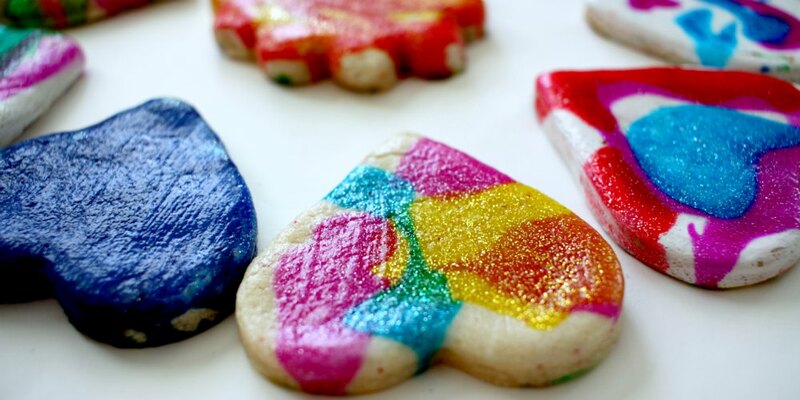 To make our salt dough hearts we followed this splendid recipe for salt dough from Red Ted Art and cut the dough into heart shapes using cookie cutters. 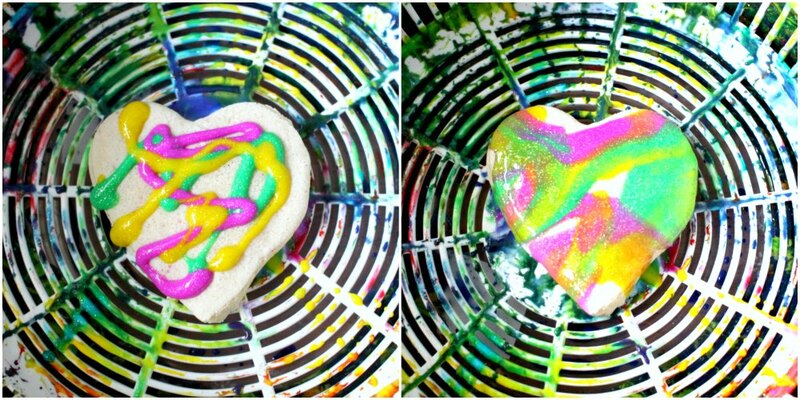 Once our salt dough hearts were completely dry the real fun began. We pulled out our salad spinner (this inexpensive one from IKEA is perfect!) and our tempera paints and made valentine after valentine for our friends. 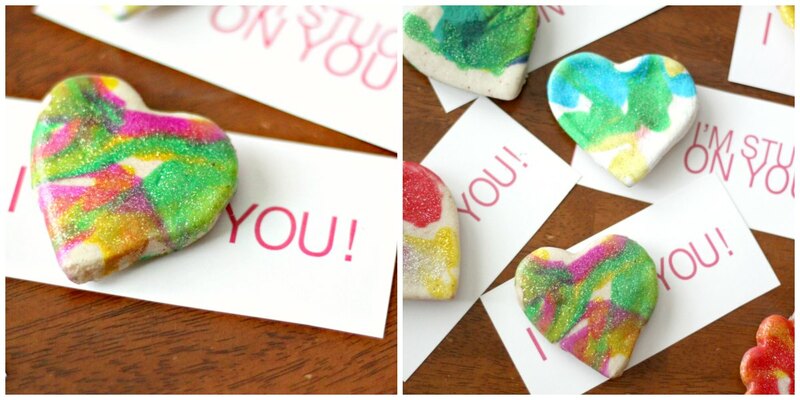 It’s very very simple to make these salt dough valentines. 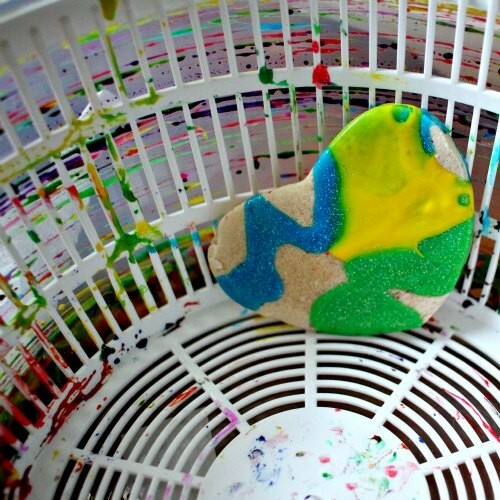 Just drop a little bit of paint on each heart and give it a good spin! The colors blend and mix and spread across the heart in gorgeous patterns. 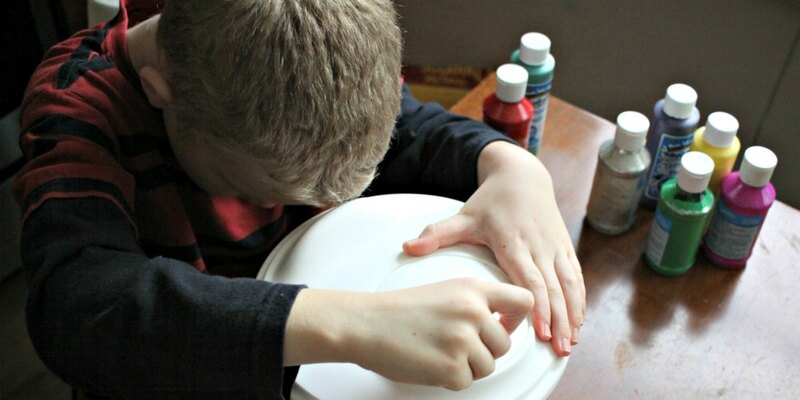 When you are done spinning carefully lift your salt dough heart out of the salad spinner and let it dry for several hours on newspaper. I finished our salt dough valentines with a coating of Mod Podge, just to be sure the paint doesn’t peal off. 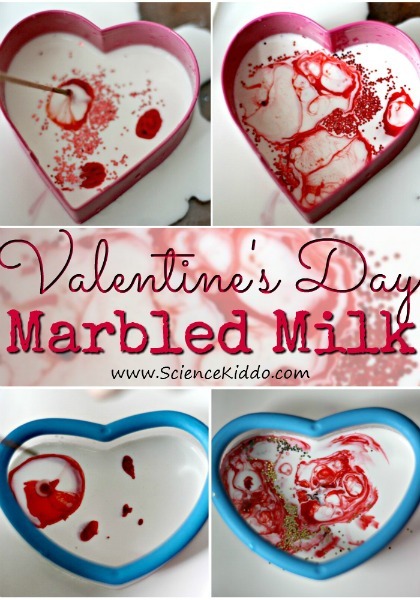 Mod Podge gives these adorable salt dough hearts a glossy and finished look. I used a hot glue gun to stick a magnet on the back to make them into refrigerator magnets. Ta da! We printed off these free valentines cards from The Connection We Share and attached our salt dough heart magnets to them to hand out to friends at our Valentine’s Day party. Perfect. We experimented with different ways to spin the salt dough heart valentines. At first I was very careful and spun them slowly so they wouldn’t fly out to the edge, but then I discovered the patterns were actually better when we spun the salad spinner as fast as we could! My son wrapped his entire upper body around the salad spinner to stabilize it so he could spin as fast as possible. 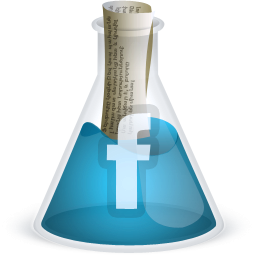 You can experiment, too! 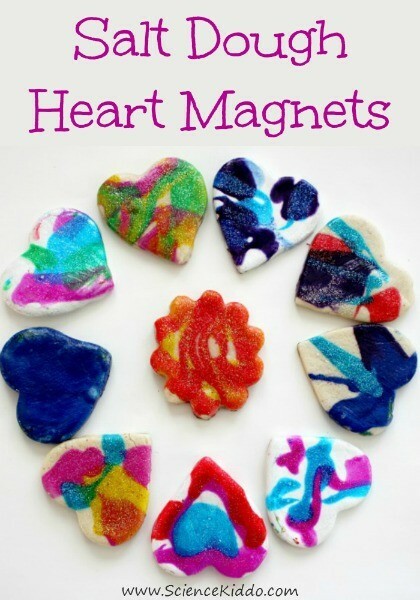 Try doing one at a time, or spinning several salt dough hearts together at once. Try spinning fast and spinning slow. Try different combinations of colors. 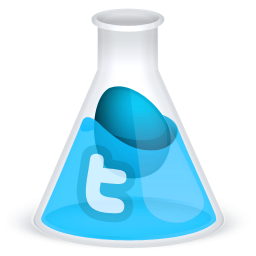 It’s an artful science experiment! When objects spin in a circle we talk about centrifugal force. Though not a real force, this describes how an object flies out from the center when following a curved path. When doing spin art the colors (and the salt dough hearts) get pushed from the center to the outside as the salad spinner rotates. 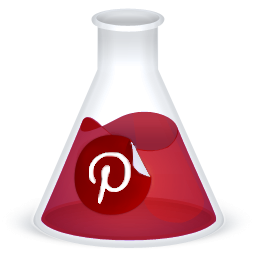 This makes the colors mix and gives you a beautiful SPLAT pattern! That is super fun! Spin art is so fun. Thanks for sharing on Toddler Fun Friday!